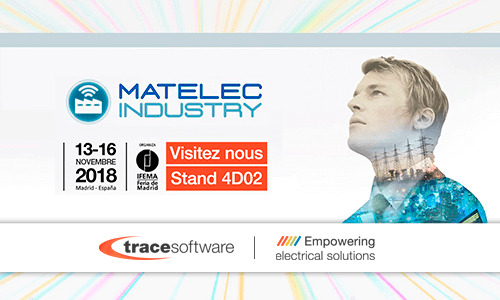 Matelec Industry announces its next edition. The International Exhibition of the Industry Solutions and Smart Factory will celebrate the technological innovations of its 250 international exhibitors. 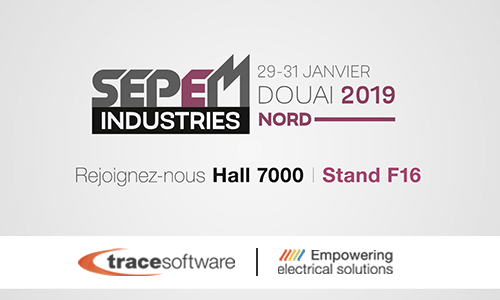 Trace Software International, the leading player in passion for high-performance engineering electrical software solutions, confirms its participation in the event. Meet them from the 13th to the 16th of November at the Ifema – Feria de Madrid in Spain- Booth 4D02. The event will focus on five major topics: Automatec (Automation of processes, industry, and energy), digital factory, control solutions and industrial energy management, industrial electronics, electrical and telecommunications systems. Matelec Industry turns its gaze to the future and with the motto “Transforming connectivity in industrial productivity” it emphasizes the power of technology in revolutionizing business models and establishing innovative approaches. In this scenario, the interoperability, interactivity, automation, transparency of information and the security become imperative. 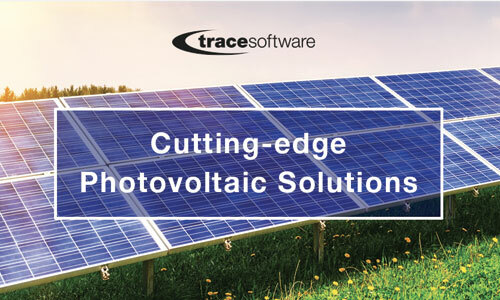 Trace Software International combines its technical and strategic knowledge in industrial engineering & its unique expertise in electrical engineering with the constant investments in innovation. The company provides last generation software solutions to the industry professionals. 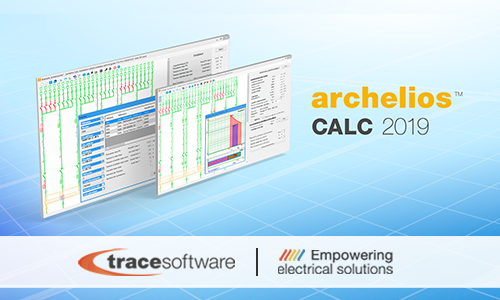 – elec calc™ is the software for the sizing of electrical installations used by professionals in the industry. It guarantees maximum safety thanks to its powerful engine that updates, in real time, the calculations of the installation. It complies with the main International standards (C15-100, C13-100 standards, International IEC standard) and it allows the calculations of the arc flash figures. It is the only one software in the world which integrates the management of high and low voltage in the same project. – elecworks™ 2019 is the electric CAD for the electrical installations and for the automation projects. It has intelligent functions (such as macros) that allow the automated creation of the electric project. With great customization possibilities, it provides professionals with an intuitive and user-friendly experience. – elecworks™ for PTC Creo allows to easily integrate the elecworks™ wiring diagram into the PTC® Creo® project. elecworks™ for PTC® Creo® technology enables faster development of schematically defined electrical systems that can readily be implemented in the 3D CAD models. 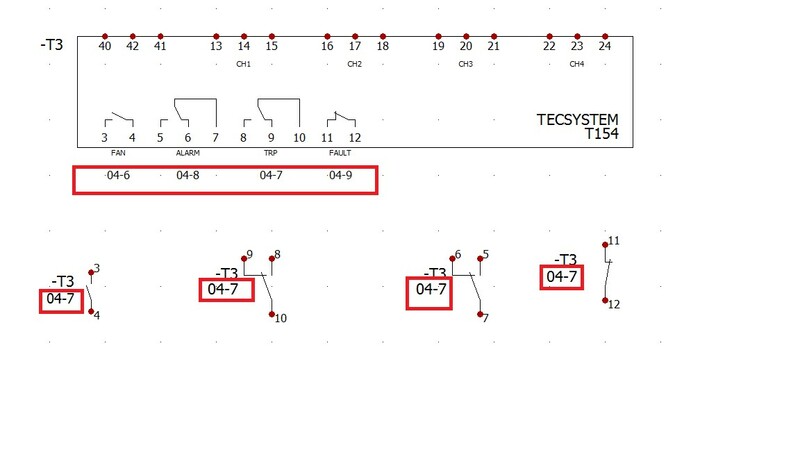 Real-time synchronization of the electrical schematics and 3D CAD models enable unification of the Bill of Materials (BOM) between the electrical system and the mechanical design, helping to eliminate errors resulting from design changes. – elecworks ™ for PTC Windchill is the software that allows the integration of the electrical data into the PLM system. It covers the entire value chain offering a real competitive advantage. The integrated PLM software technology accelerates time-to-market, brings operational efficiency, productivity and increases innovation. MATELEC has consolidated itself as the place where passion for construction converges. The event proposes a multidisciplinary perspective on the topic, which involves all the players in the whole value chain. Therefore, the main event includes also Construtec, BIMExpo, Archistone, Matelec Lighting, Veteco, and Matelec Industry, each of them dedicated to a specific industry segment. 80.000 visitors are expected to this next edition. Trace Software International will also participate in BIMExpo, the event which focuses on BIM, the revolutionary digital process within the building industry. The company will showcase elec calc™ BIM together with his partner BIM&CO. elec calc™ BIM is the world’s first calculation software that seamlessly integrates elec calc™, the electrical tool used in design projects, into an Open BIM process. elec calc™ BIM user will gain a direct access to all the information and data regarding the BIM objects in the open platform of BIM&CO. Finally, all the calculated data and added properties will be sent back to Revit, in addition to all the calculation notes and data regarding the one-line diagram. 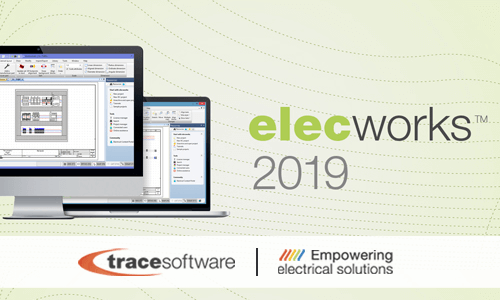 Trace Software International is thrilled to announce the launch of the newest version of its star design software solution: elecworks™ 2018. 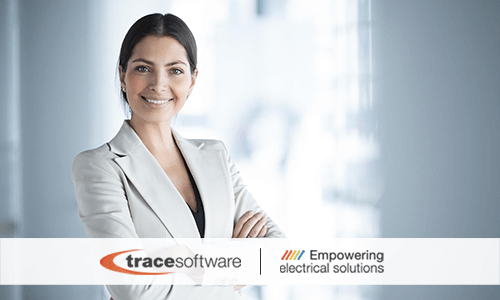 Available in 14 languages, elecworks™ is the best-selling electrical CAD solution worldwide. 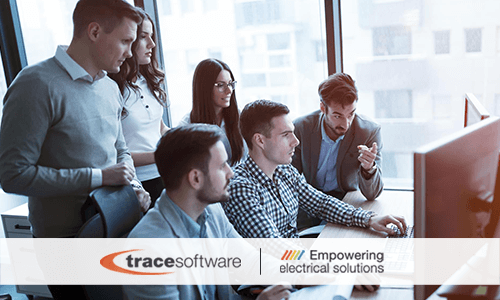 Since the early beginnings, Trace Software International (TSI), has been a successful company committed to the development of solutions and services for the engineering industry, specializing in electrical design software. With 30 years of unique expertise in the design of tools for the creation of electrical projects, it is possible to affirm electrical engineering is in the company DNA. 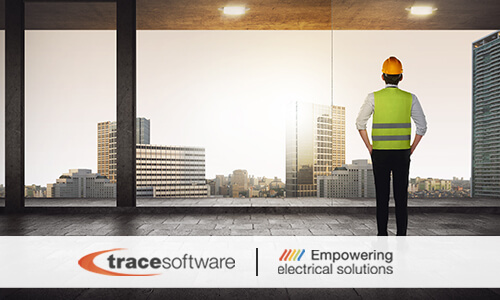 Trusted by thousands of professionals worldwide, elecworks™ is the electrical CAD system for automation projects and electrical installations. It has been designed as a next generation, easy-to-use, intuitive & powerful tool which offers innovative and unlimited benefits. Time is money, especially when it comes to managing electrical and automatization projects in the engineering industry. How does elecworks™ 2018 add value to the engineering design project in your company? Automatic bridges bring automation to the next level. As a result, it automatically connects two terminals with the same equipotential or two terminals connected to the same wire, saving valuable design time. Natural sort is also a considerable advantage when it comes to the design process, saving time. Higher level of customization. Now it is possible to set and customize an array of different properties when it comes to the symbols attributes inserted in a project. Apart from the chance of setting a specific style for the project, the user can also add different parameters to each drawing, such as layers, line types and text styles. 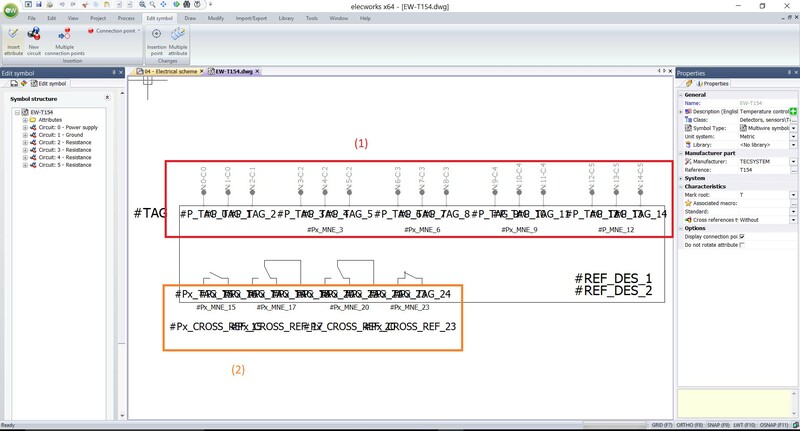 Enhanced automatic routing in 3D for PTC®Creo® The first ever product able to work in a bidirectional and real-time synchronization with the mechanical research department using the digital model of the 3D project. Now you will be also able to route the wires the elements through the ducts inserted in the 3D model or define your own path inside the cabinet. 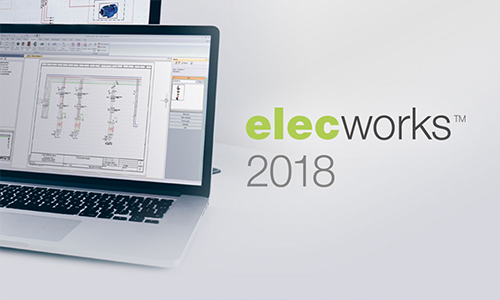 Automatic integration between elecworks™ 2018 and Windchill (PLM) which guarantees the integrity of your design project thanks to the centralized management of all the stages of development, fomenting at the same time a great interaction in between all partners. New classification manager so you can now add your own classification to the symbols, parts, title blocks. Deferred update Mode. Thanks to our new deferred mode feature, users can reduce and save drawing-time for schemes, in large projects. It is easy to get started. You can now learn more about this cutting-edge design software solution and download a 30-day free trial version: FREE TRIAL. https://www.trace-software.com/wp-content/uploads/2017/09/EW-2018.png 300 500 Rossana https://www.trace-software.com/wp-content/uploads/2015/04/logo-home-ts.png Rossana2017-09-21 12:00:042017-10-02 14:57:55elecworks™ 2018 : new integration with Windchill, greater level of customization and enhanced automatic routing in 3D for PTC® Creo® .